Redgate is a strategic real estate investment and advisory firm headquartered in Boston and with offices in Baltimore and New York City. Through our investment platform – Redgate Capital Partners – we selectively co-invest with our clients offering an ownership stake in mixed-use property transactions acting as the developer/operator. We also seek equity partners as appropriate to realize real estate opportunities we uncover. Redgate Capital Partner’s affiliate, Gate Residential Properties, LLC, focuses on designing multifamily residences to foster “new urban neighborhoods.” Through our advisory platform – Redgate Real Estate Advisors – we offer project management, development management, asset management, planning and permitting strategy, and strategic advisory services. Whether an investment or advisory engagement, we believe that every real estate endeavor is unique and deserves a highly-tailored approach managed with interpersonal precision. 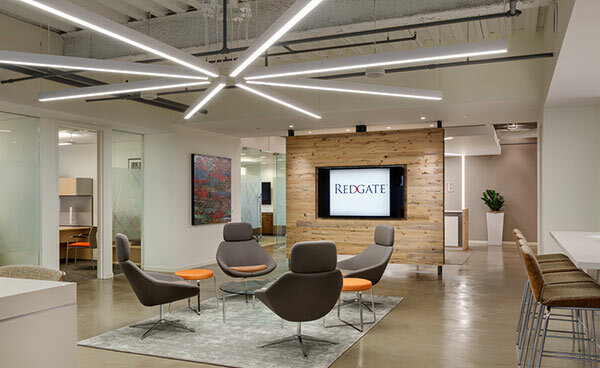 Intensely focused on delivering returns as defined by our clients and investors, Redgate ensures that they receive the right return on real estate for them – purpose-built approaches that adhere to a common vision, are managed thoughtfully in real-time and delight in both experience and outcomes. We listen to our clients, collectively develop a strategy, and follow with a crafted delivery method to satisfy every client. We design clear communication protocols from the moment of engagement to facilitate dialogues and foster and mobilize consensus. We deliver a financially feasible strategy and an implementable plan for each client we serve, reducing risk and extracting the best value. With a business model reflecting the many aspects of the dynamic real estate world – from early strategic asset analysis to project management to investment for and with our clients – our professionals live an owner and occupier mind set which uniquely benefits every client. We mitigate risk and create value by leveraging market knowledge, expertise, and ongoing value management. Our track record includes successfully delivering over 25 million SF across projects ranging from $1M – $1.2B+ in project value for a diverse client base.